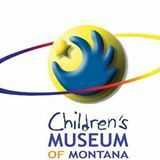 Well, of course the Children's Museum of Montana is kid-friendly...but, let's talk about how parent-friendly it is! Within this two-story fun house is a coffee corner serving quality java by Morning Light Roasters! And...the little people section "Who-ville" is enclosed, perfect if you need to corral a toddler and a baby at one time. Slides, water play, dress-up...and yes, a birthday party room! Older kids will find a grocery store with cash registers, a doctor's office with complete with x-rays, a control tower AND an airplane cockpit...and a real bank with bags of "money" to protect! 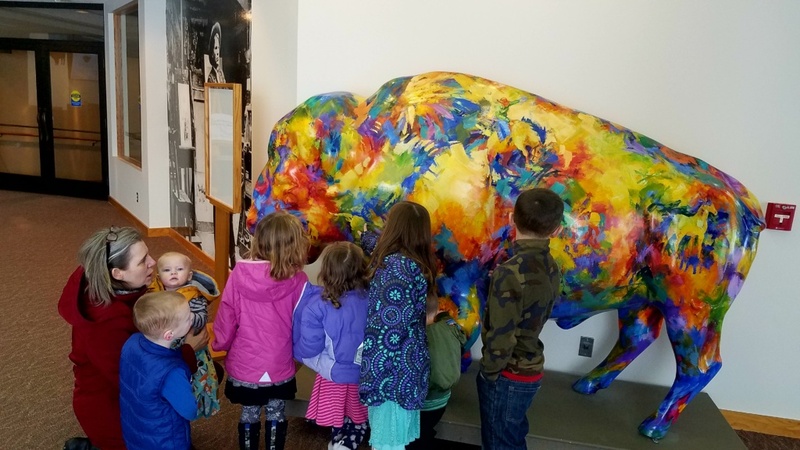 That's only a few of the neat, colorful and educational offerings at this wonder-filled museum! Western art for little cowpokes?! You betcha! The C.M. 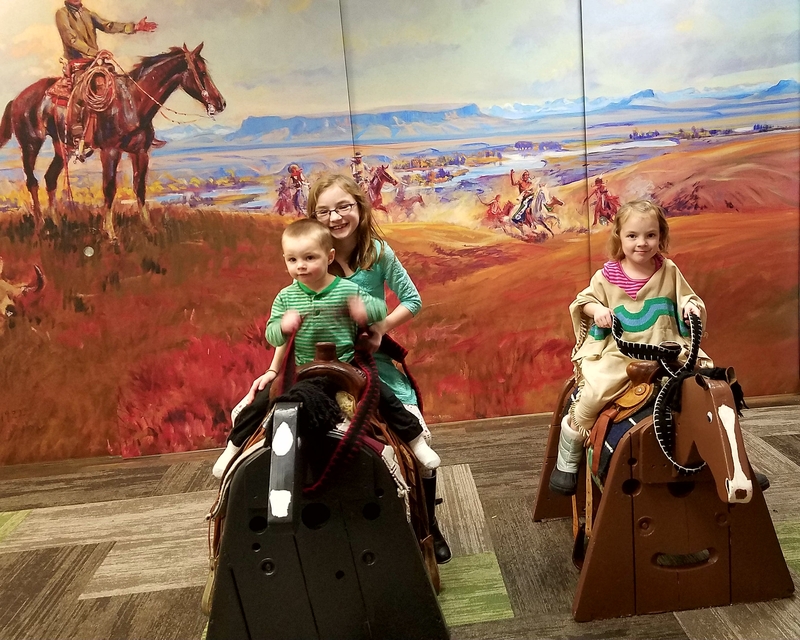 Russell Museum has a dedicated play space for wiggly little bodies, complete with a teepee, animal puppets, buckaroos to ride and western garb to try out! Native American beadwork by the dozens beckon...in pull out drawers that invite small and thoughtful minds to engage (but safe away from little fingers). 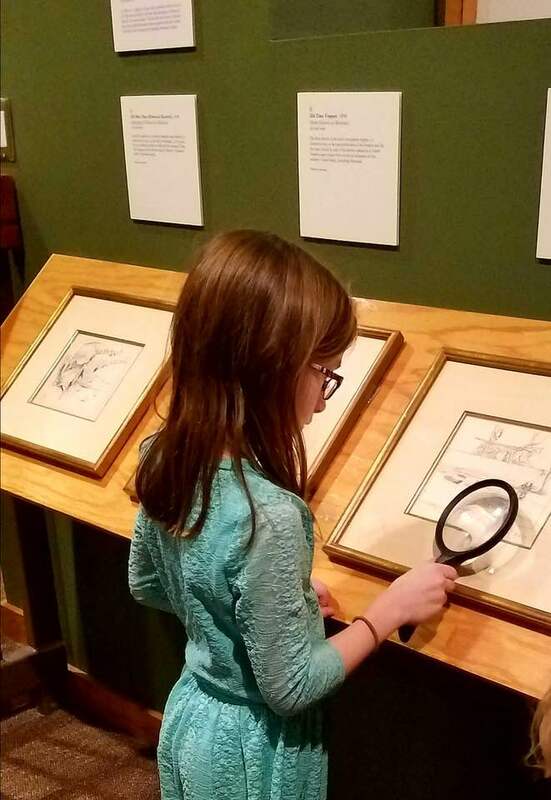 The exhibits invite children to experience the world Russell chronicled on canvas. In the buffalo stampede hallway, the floor rolls, the bellows echo and the kids LOVE it! The climb up to the top of the jump is just right - not too long, and just tough enough to make young explorers proud of their jaunt up the slope. Definitely buy the guide book! It's only $2, and has a wealth of information that will grab even the most jaded teen's attention. From the top, you will marvel at the athletic feats the Native American teens performed to get the bison over the cliff. 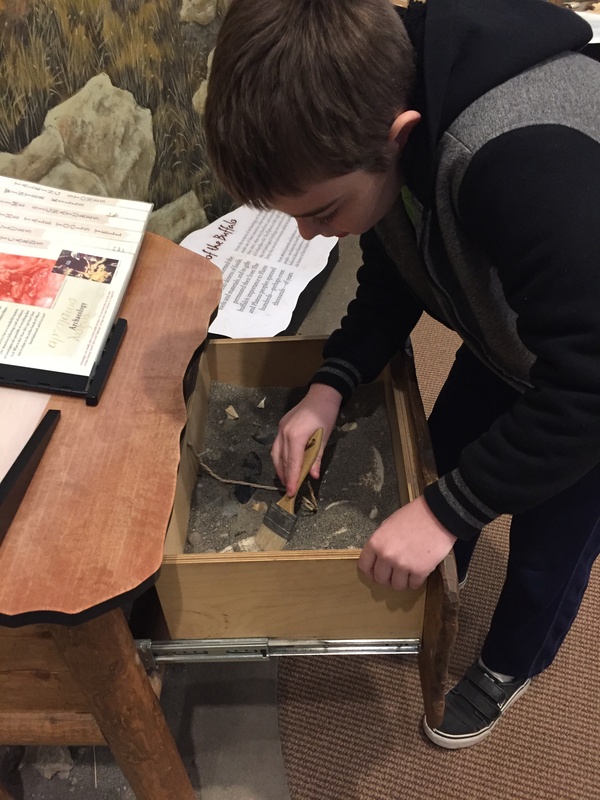 The museum has "touch me" drawers too - with questions and answers, sights and sounds that engage adults and kids. 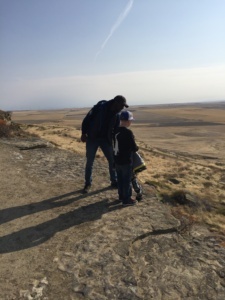 The helpful rangers offer hikes and frequent summer programs - throw an atlatl, play children's games and enjoy a summer hike with a guide. There is so much to engage a young imagination...and make the old imagine the West as it once was, all over again. 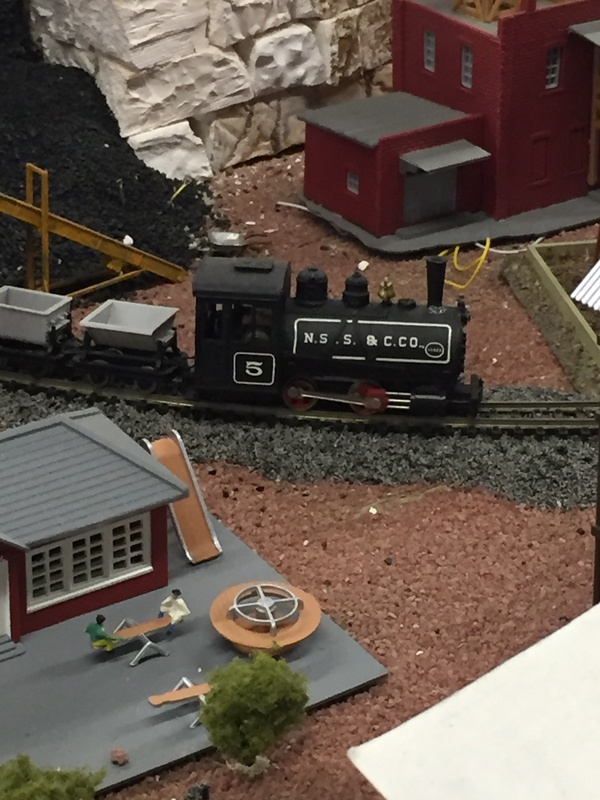 The longer you look at the dioramas on display, the more fun details you will find! The whole museum is a "Where's Waldo?!" experience! 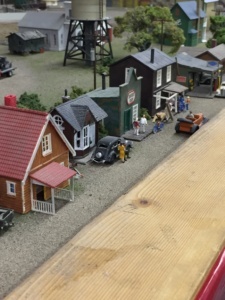 (In fact, Waldo is hiding at the State Fair mini-scene - can you find him?!) There is a drive-in movie, moving threshers in a field of wheat, a welding crane that has sparks, and even a UFO hiding in the trees. The young at heart will find many fun surprises including skinny-dipping sisters with rascal little brothers, mountain goats perpendicular to the rocky hillsides and even a replica of Our Lady of the Rockies. The easiest time to visit is during the state fair in late July/early August, but its open most Saturdays during the summer as well. 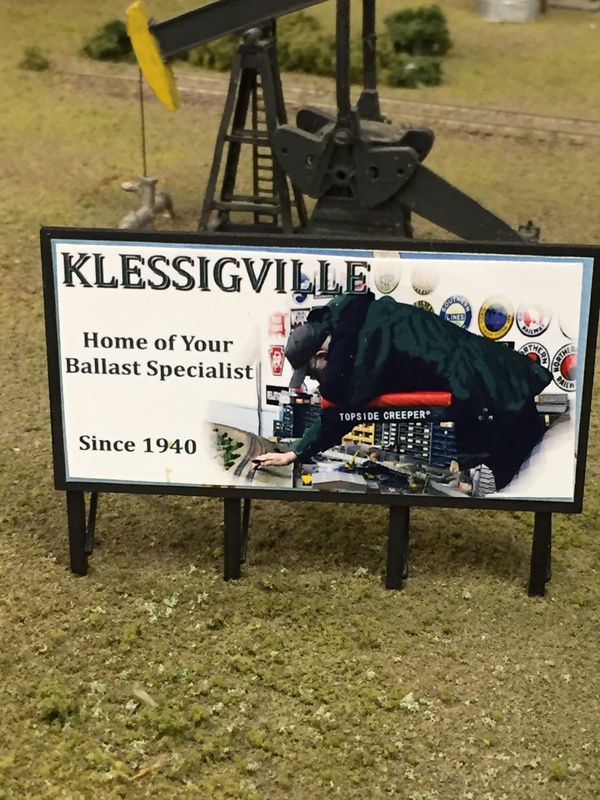 In addition, there's a caboose outside with surprises, and memorabilia from decades of rail history! 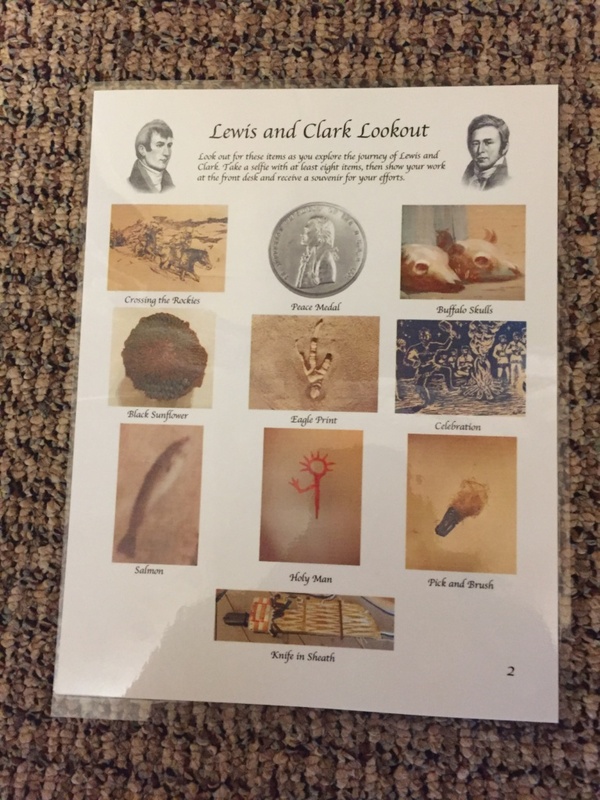 Stop by the volunteer ranger station first - they have both a scavenger hunt AND a junior ranger program! 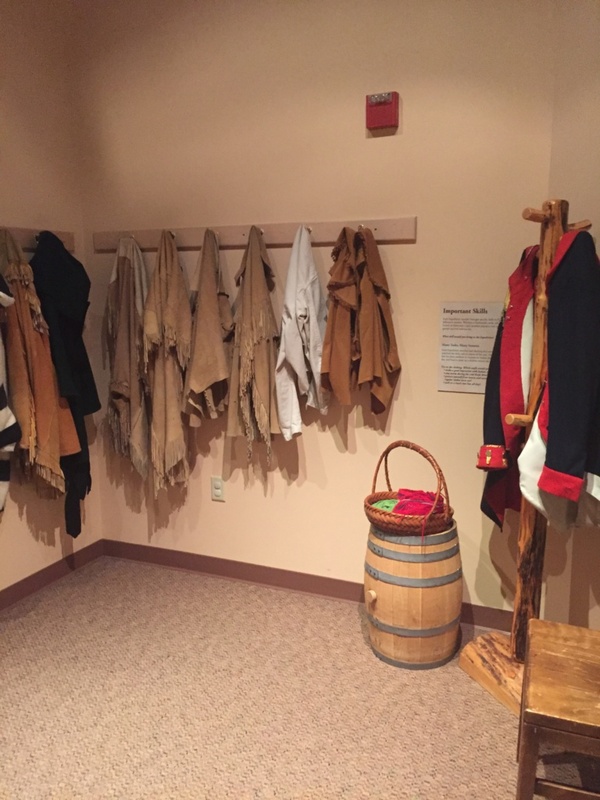 The full-size indoor auditorium shows movies on the half hour all day - FREE - a breath-taking account of the awesome details of Lewis & Clark's adventure. 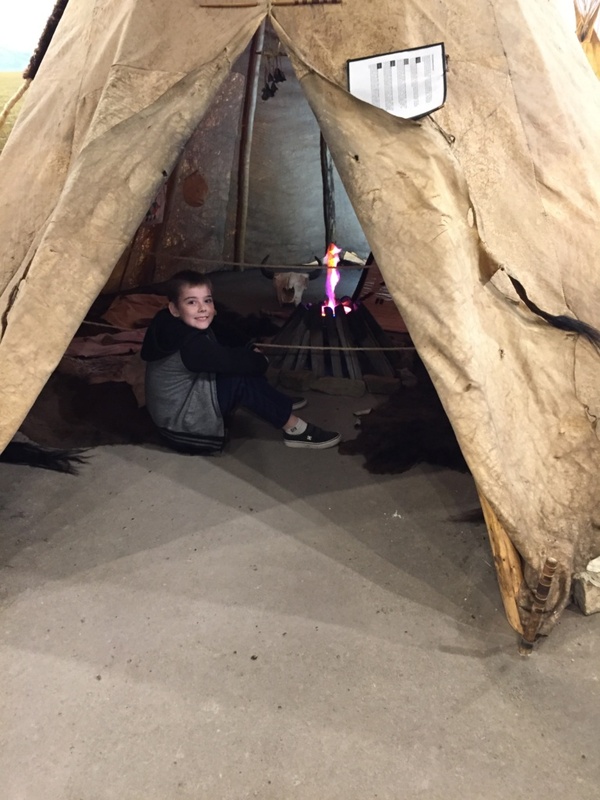 The first exhibit is a HUGE diorama of the portage of the canoes around the Great Falls of the Missouri River -- and the scope of the journey looms. 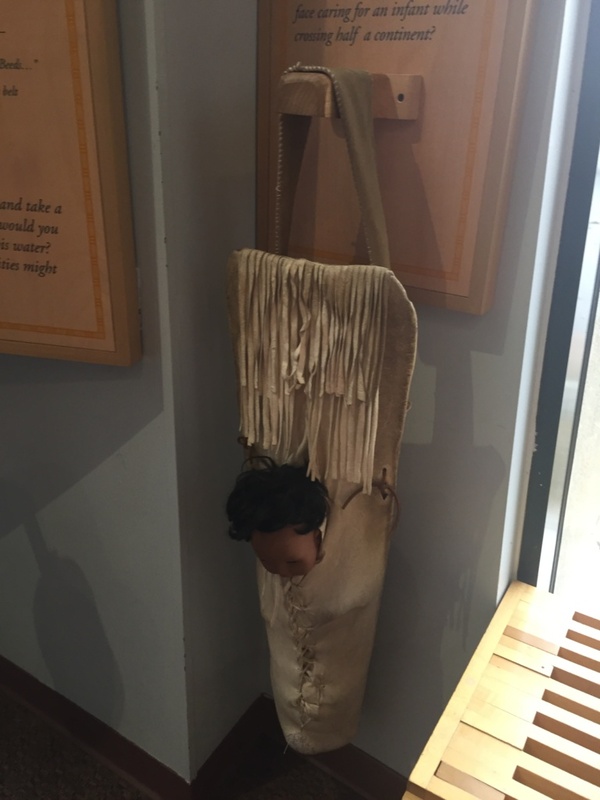 A dress-up area, hands-on exhibits (you try carrying a papoose like Sacagawea!! ), and even a language translation game make this museum a family favorite. 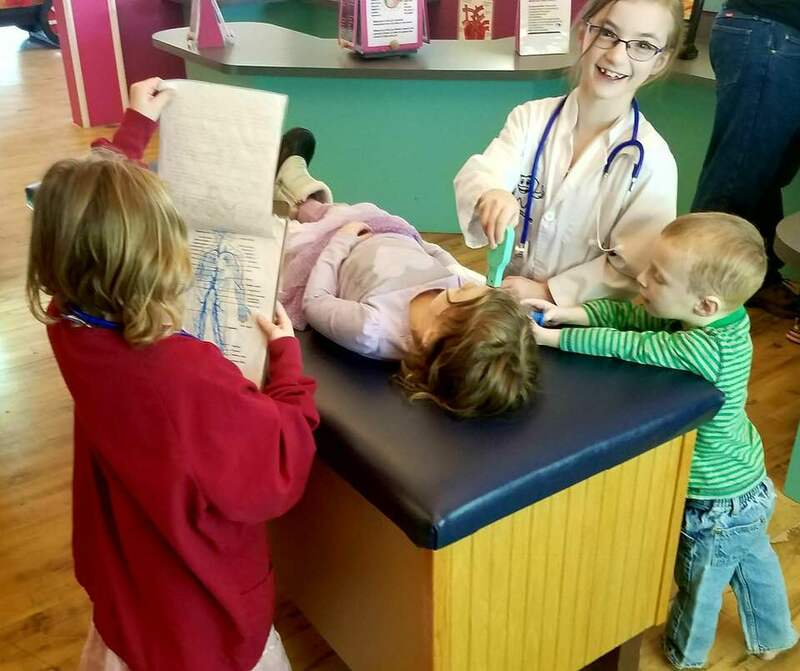 There are so many wonderful hands-on exhibits, that you should plan for a full day. But, don't forget to leave a little time for the hiking trails...and the kids will enjoy programs in the outdoor amphitheater overlooking the river.